This Is How You Handle A Tyrant! John Hinderaker at Power Line posted an article yesterday about Rex Tillerson, Donald Trump’s nominee for Secretary of State. I have to say that after reading the article, I like Rex Tillerson’s style. The story that follows is an example of quietly outsmarting someone who tries to take advantage of you. The article quotes a Washington Post story that details what happened shortly after Tillerson became CEO of ExxonMobil. Hugo Chavez needed money and demanded more of the profits of the western oil companies in Venezuela. All of the companies agreed except ExxonMobil. Chavez responded by nationalizing ExxonMobil’s considerable assets in the country, which the company valued at $10 billion. The losses were a big blow to Tillerson, who reportedly took the seizure as a personal affront. Only Tillerson didn’t get mad, at least in public. He got even. In the deep blue waters 120 miles off Guyana’s coast, the company scored a major oil discovery: as much as 1.4 billion barrels of high-quality crude. Tillerson told company shareholders the well, Liza-1, was the largest oil find anywhere in the world that year. For tiny Guyana (population 800,000), the continent’s only English-speaking country and one of its poorest, it was a fortune-changing event, certain to mark a “before and after” in a country long isolated by language and geography. The Stabroek block where ExxonMobil and its partners struck oil is off the coast of a patch of wild South American jungle known as the Essequibo territory. 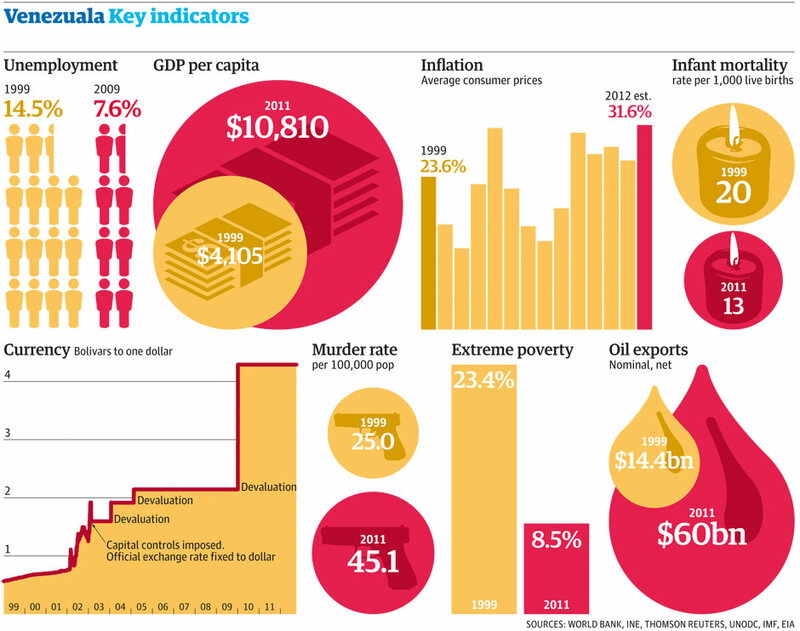 Venezuela and Guyana have haggled over it with oscillating levels of vehemence for more than 100 years. Amounting to two-thirds of Guyana’s surface area, it is, by any practical measure, a part of Guyana and populated by Guyanese people, albeit sparsely. But Venezuelan claims on the land have long kept foreign investors out. In 2013, a research vessel exploring the area for U.S.-based Anadarko was intercepted by a Venezuelan warship, which temporarily detained the 36-member crew. It was a warning to other companies thinking of partnering with Guyana. Tillerson’s ExxonMobil went ahead anyway. Maduro ordered military exercises along the border, appealed to the United Nations to intervene, and cast his country as a victim of “imperialist” aggression. But Maduro was boxed in. Tillerson had taken him to school. And he was just getting warmed up. The company has moved quickly to drill more wells since then, racking up new discoveries in the area. Think about it. Tillerson refused the wishes of a bully, elevated a more reasonable government in a South America country without violence, and made a profit. I like his style. The dream of the political left is to have a successful socialistic state. The idea of everyone having everything they need and everyone being financially secure is wonderful. The only problem is that is doesn’t seem to work in real life. Europe is an example of government spending to provide government benefits, but does not seem to be prospering. A few years ago, the political left thought Venezuela was going to prove that socialism worked. An article appeared in Salon Magazine with the title, “Hugo Chavez‘s economic miracle” with the subtitle, “The Venezuelan leader was often marginalized as a radical. But his brand of socialism achieved real economic gains.” Chavez’s early years were very successful. He served as President of Venezuela from 1999 to 2013. So what happened? 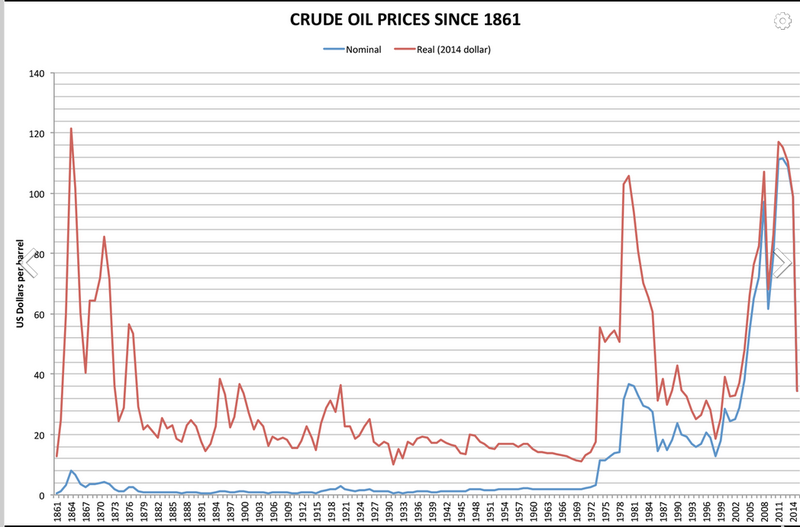 Part of Chavez’s success can be attributed to the high cost of oil during that time. However, the Venezuelan government began to take over private companies that were keeping the oil flowing. The government did not have the technical skill to continue to operative those companies successfully. (rightwinggranny) As the price of oil began to fall, there was no one to help increase the efficiency of oil production–the companies had been nationalized so there was no incentive. The free market was not allowed to work. So where are they now. CBN News posted a story yesterday. Venezuela, a country rich in natural resources, is the fifth largest exporter of oil in the world. Despite its assets, however, the economy is disintegrating. Basic necessities are scarce, and inflation is skyrocketing, with some reports suggesting it could go as high as 700 percent. “The people of Venezuela are suffering from violence, a world record of daily murders and random kidnappings,” European Union Foreign Policy Chief Federica Mogherini said. Socialism doesn’t work–when there is no incentive, people do not innovate. Even though it is not perfect, the free market is the only economic system in the world proven to lift people out of poverty and give everyone the opportunity to achieve. That is the history of socialism and the history of free market economics. I don’t know if the people at Salon knew that history and were hoping that Venezuela would be different, or if they didn’t know that history. Either way, the article misled anyone who does not understand economics. Does the ignorance of economic policies and their consequences explain the acceptance of Bernie Sanders as a Presidential candidate? The Center for Security Policy is reporting today that the voters of Venezuela allocated 99 out of 167 seats to the Democratic Unity Roundtable (MUD) and the governing United Socialist Party of Venezuela (PSUV) garnered 46 seats, with the remaining 22 seats still to be adjudicated. This vote represents the end of the socialist regime in Venezuela. Founding organizations such as the Bolivarian Alliance of the Americas (ALBA), the Union of South American Nations (UNASUR), the government propaganda satellite channel Telesur, as well as sponsoring economic partnerships like the Caribbean Petroleum consortium (PETROCARIBE), the Chavez administration curried favor and goodwill throughout Latin America, as other left-leaning governments were elected in Argentina, Brazil, Ecuador, and Bolivia. These institutions were meant to supplant the International Government Organizations regime which has been in place since the end of WWII and led by the United Nations and the Organization of American States. In fact, Chavez had a very contentious relationship with both bodies, routinely denouncing the UN as a “stooge of imperialism” and the OAS as a “shameful” organization every time his authoritarian and undemocratic actions were criticized. This is the beginning of a new day in Venezuela. The MUD now has its work cut out for them. The first order of business is to determine exactly how many deputies will take their seats in the new session on January 5th. A super majority of 110 is needed to enact meaningful reforms, especially as the Venezuelan economy has been in a death spiral due to gross mismanagement combined with the decline in oil prices. Congratulations to the voters of Venezuela for voting for freedom. Centeno (Jesus Centeno, local operations manager for Superior in the city of Anaco) said Superior stopped servicing PDVSA in July after negotiations broke down over millions of dollars in unpaid bills stretching back to December. Removal of the equipment will take a few days, so Superior is also feeding and sheltering the police officers and PDVSA crew on site, he said. During the seizure of the wells, PDVSA ordered the workers to load the rigs on to trucks to be deployed at “critical wells” elsewhere. Today’s New York Post posted a story about how the death of Hugo Chavez will impact Citizens Energy Corp, the organization founded in 1979 by Joe Kennedy, Robert F. Kennedy‘s oldest son. The organization provides assistance to Massachusetts residents who need help paying for heating oil in the winter. The charity is able to do this by buying crude oil from Venezuela at below market price, selling it at the market price and using the difference to provide oil for people who need it. It really is a good idea and works well. People should be paid fairly for their work, even when they work for a non-profit organization, but somehow I think we have forgotten that a non-profit organization is supposed to be supporting a cause of some sort and that’s where most of it’s money should go. I would have left Congress too! Note that Elizabeth Kennedy was making more than $300,000 from the nonprofit company. I really think that is a little much. I think Joe Kennedy’s commitment to helping the poor stay warm in the winter is wonderful. The cost of living is high in Massachusetts, and a lot of people have been helped by Citizens Energy Corp. I just wonder about the details of how the money was spent. This is a graph from the Cato Institute posted by John Hinderaker at Power Line yesterday. We have a choice in 2012. Which way do we want to go?